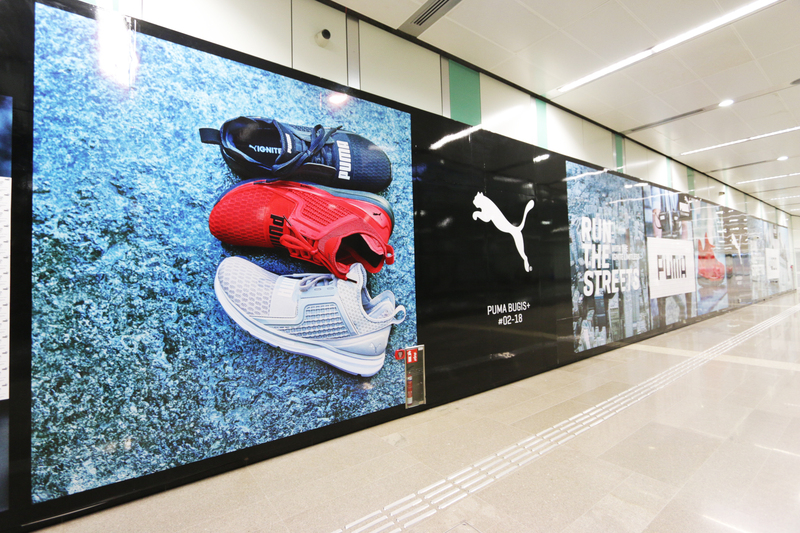 To promote its global “Run the Streets” campaign, PUMA and Moove Media lined up a section of a wall in Bugis MRT station of Downtown Line (DTL) with 2,000 stickers, placed in the shape of PUMA’s logo. 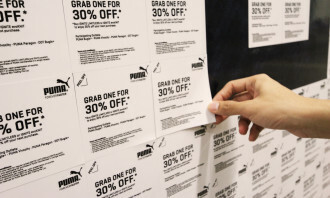 The stickers are discount coupons which offer uses a 30% discount off their next PUMA purchase if they have bought its Ignite Limitless or EvoKnit range of footwear. 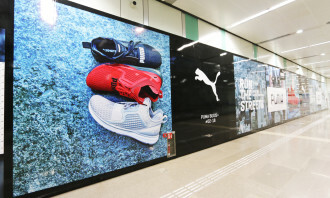 Targeting commuters from the age of 16 to 23 years old, Bugis MRT station was selected due to its close proximity to PUMA’s new store at Bugis+. 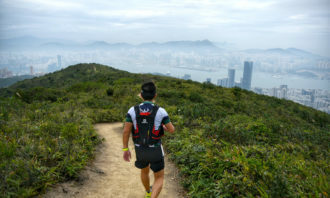 Furthermore, the DTL was selected due to its close distance to many schools. 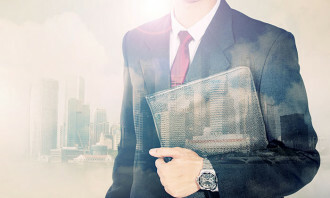 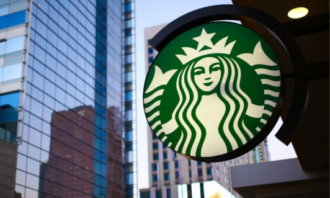 “We didn’t want to just have the usual wallscape in which products are featured. 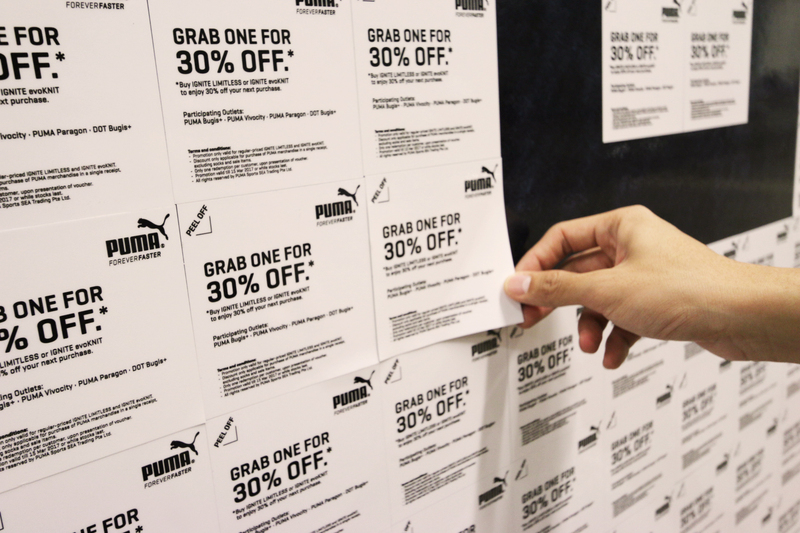 Stickers, placed at the right places, can be an effective way to draw consumers. 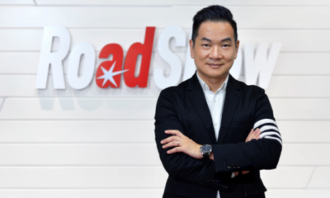 Since the store was just a stone’s throw away, it was a very cost-effective advertisement for our client,” Jayne Kwek, CEO, Moove Media.